Gage Cartographics has worked extensively with recreation data across the Northern Rockies. Typical Forest Service maps are difficult to comprehend making it challenging to know where you can ride a horse, bike, snowmobile etc. 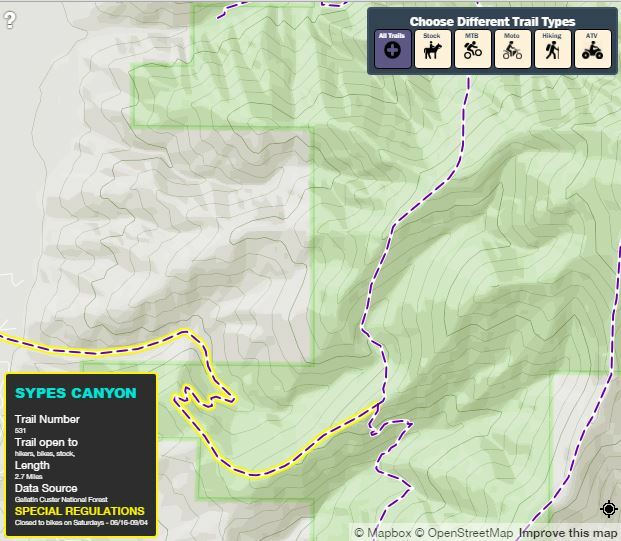 After organizing trails data across several USFS regions, we built a simple map to filter trail uses and designations. The map, trailinfo.io can be seen at the link below.